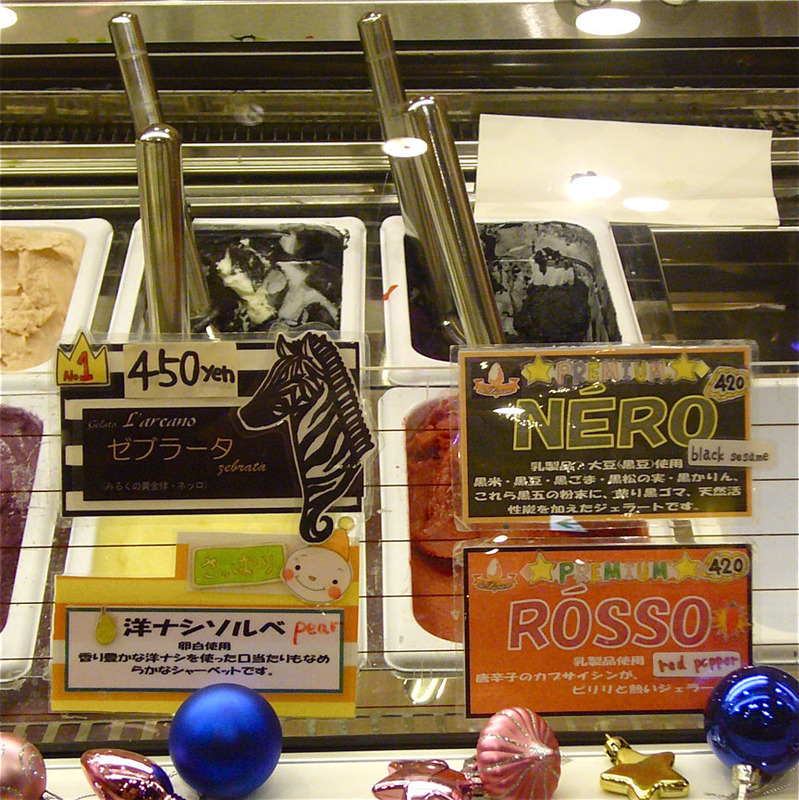 I’ll take a scoop of togarashi pepper flavor, please! 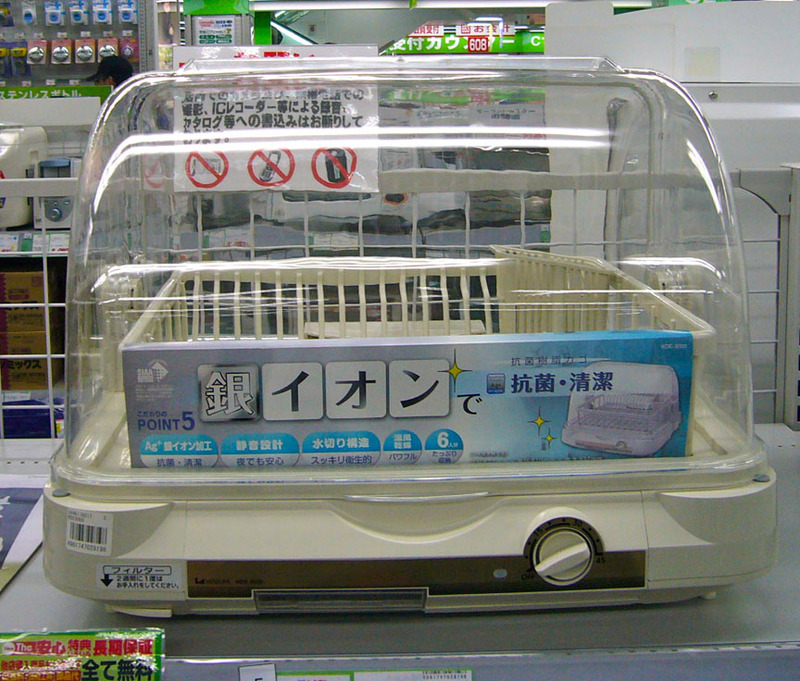 I love to eat savory Japanese dumplings and weird ice cream in Ikebukuro, then roam around the LABI electronics superstore to see all the strange toys and appliances. 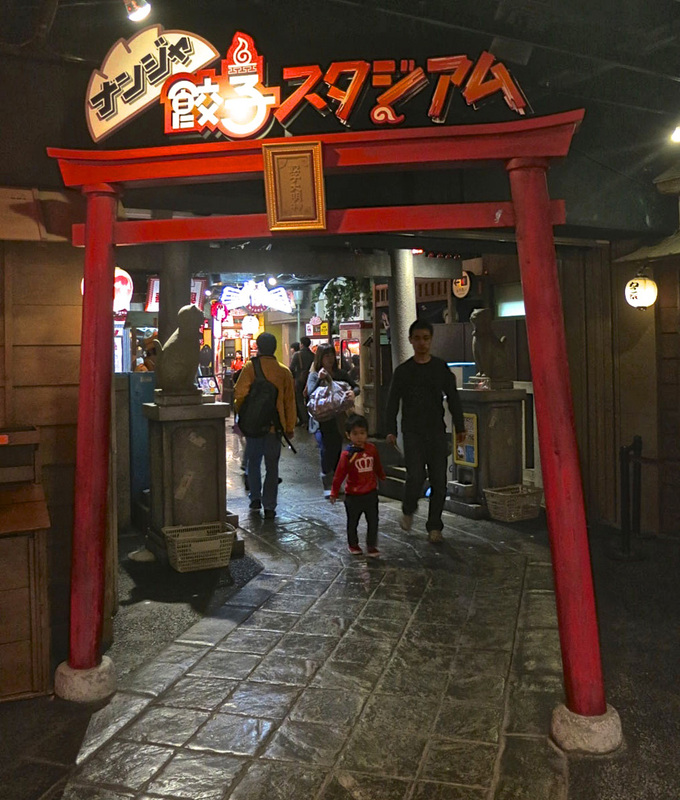 Inside a huge shopping complex called Sunshine City, there’s an odd only-in-Japan indoor amusement park called Namco Namja Town. Inside Namja Town is an old-style food stand street called Gyoza Stadium. Stands there sell all the best kinds of savory dumplings from all over Japan. Designed to look like an old street, you can wander from dumpling stand to dumpling stand at Gyoza Stadium, ordering savory bites from all over Japan. Japanese gyoza are traditionally filled with pork and veggies, but at Gyoza Stadium there are seafood dumplings, cheese-filled dumplings and even a few vegetarian versions. Be sure you save room for dessert – there’s an ice cream shop at the end of the gyoza street with dozens of flavors that range from weird to fantastic. 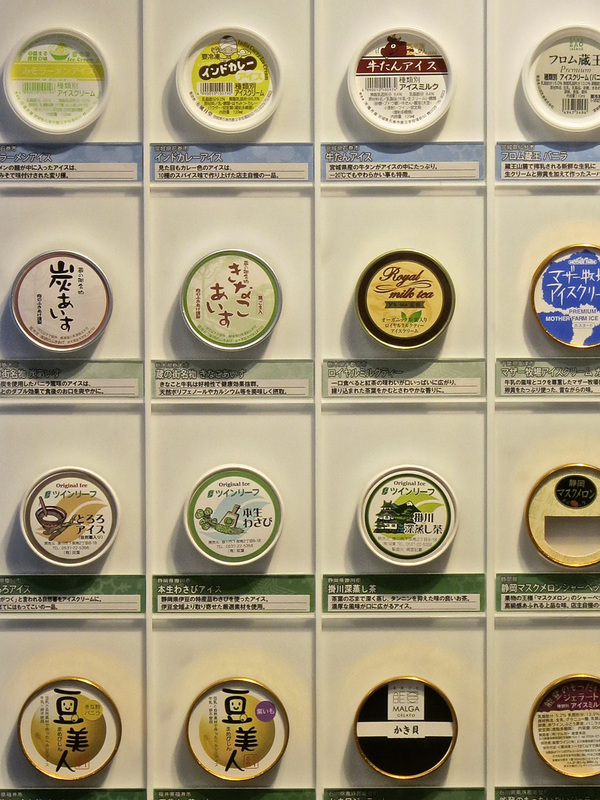 Not only do they have delicious fresh fruit flavors and various kind of chocolate, they also have really strange ones, like wasabi, curry, eel, and beer. Wasabi, oyster, miso ramen, muskmelon, and Indian curry are only a sampling of the flavors you can try at the Gyoza Stadium ice cream store. If you’re a big manga fan (especially if you love One Piece and Naruto) let’s check out the rides and photo ops at J-World before we leave Namja Town. Afterwards, let’s wander into the magnificent LAB1 electronics superstore. It has a really quirky toy department and an indoor playground for tots. 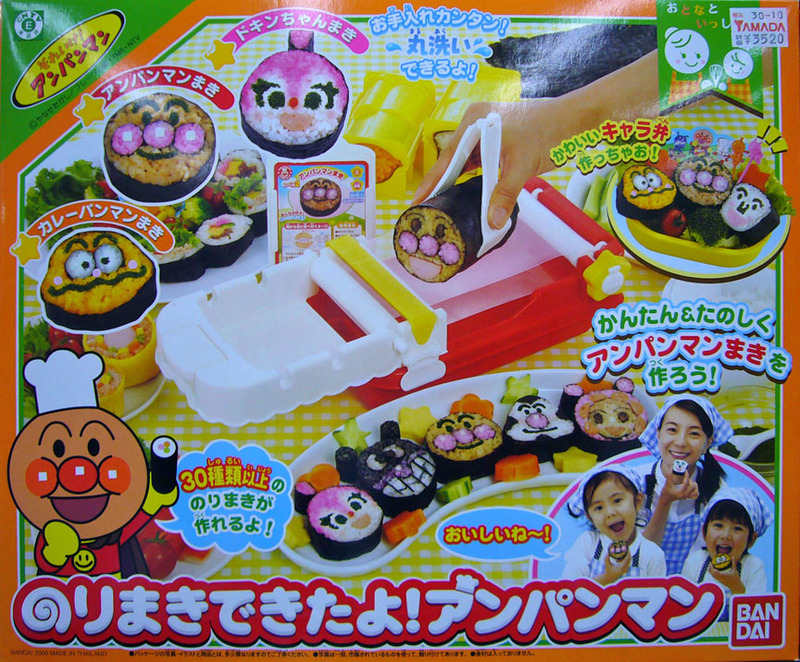 Isn’t an AnpanMan sushi roll maker at the top of every kid’s birthday list? 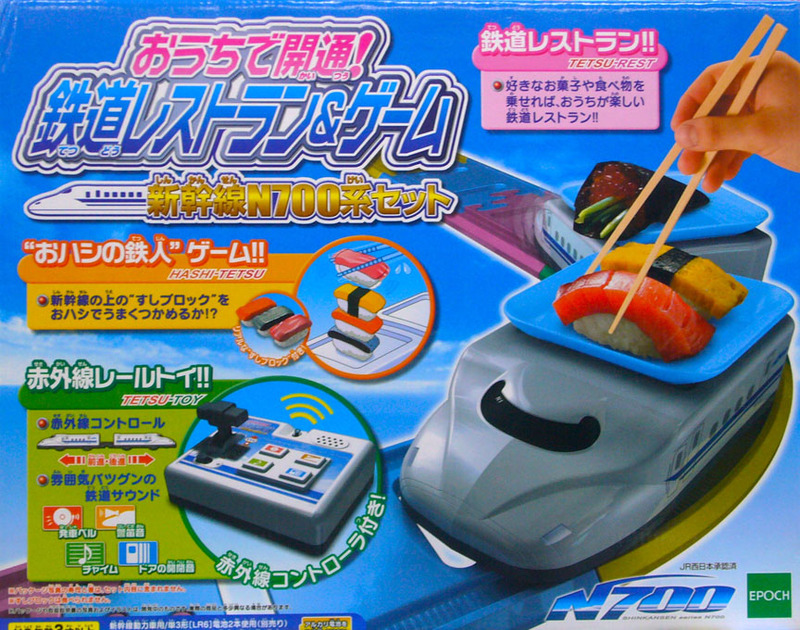 The bullet train sushi delivery toy. Words fail me. And we can’t leave Ikebukuro before stopping in at the Mega-Pokemon Center! This shop often has only-in-Japan Pokemon merchandise for sale.